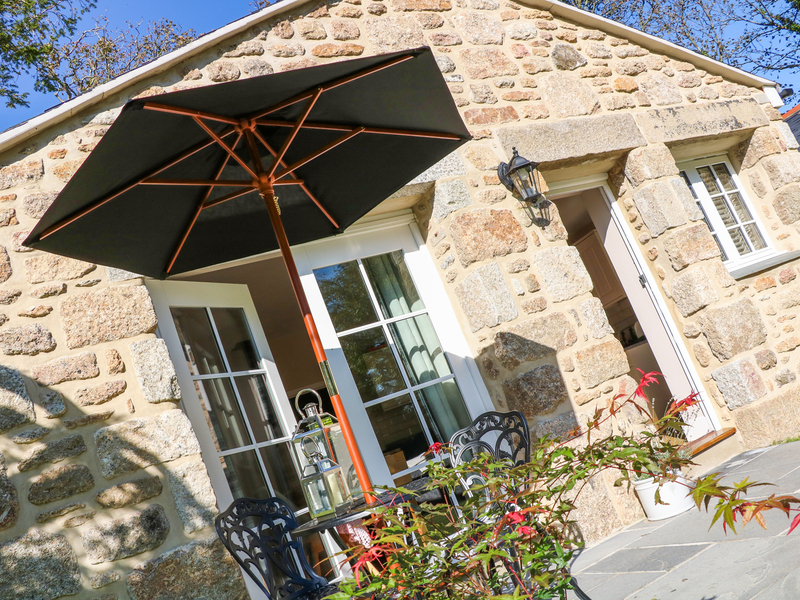 Azalea is a wonderful stone-built holiday let set on the outskirts of Penzance in West Cornwall. It comprises one king-size bedroom, sleeping two people in total. Inside is also a shower room and an open-plan living room with kitchen dining area and sitting area with woodburning stove. To the exterior is ample off-road parking and a patio with furniture, as well as shared use of the indoor swimming pool and lawned areas. Azalea offers charming accommodation in a stunning location. Electric central heating with woodburning stove. Electric oven and hob, microwave, fridge, Nespresso machine, washer/dryer, TV with Freeview, WiFi, selection of books and games. Fuel, power and starter pack for fire inc. in rent. Bed linen and towels inc. in rent. Travel cot and highchair. Off-road parking. Patio area with furniture. Sorry, no pets and no smoking. Shop and pub 3 miles. Note: Shared indoor swimming pool on-site. Note: Swimming pool is heated by solar power and available for use from 1 April - 31 October.